We'll create an optimized site that shows up in the search results, sets you apart from your competitors, and highlights your products and services so you get more sales and revenue. Content and images on the site will be researched to target your potential customers based on keywords used to find your products and/or services. Your site will be responsive to any size device (mobile friendly). Information and navigation will make it easy for viewers to find what their looking for. Website graphics and text would include a single style that flows throughout, to show consistency and promote a sophisticated, high end style. Professional, appealing, and relevant. We'll design your site for maximum rankings on all major search engines, especially Google. And your site will come up for keywords that describe your business. We'll present your business in the best possible way through the text, images, digital media, and interactive elements on the website. The experienced website designers at Target Marketing Solutions creatively combine these website elements to make your business vision a reality. 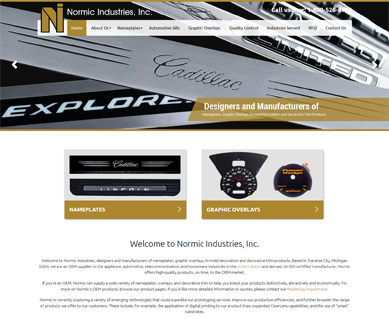 Fresh ideas and inspirations in digital creativity are always in our website designs. 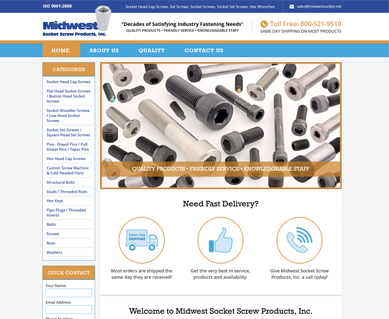 Website design for Michigan businesses and beyond. 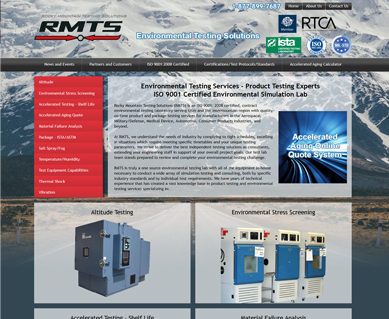 TMS will build you a custom website, with traffic acquisition and high rankings in mind. Potential customers will find your site when doing keywords searches for your products and services. All the sites we create are responsive, meaning that the content and images adjust to the screen size of the viewer. The ever increasing use of mobile devices makes it vital that your site is easy to navigate on smaller screens. TMS will maintain your website with new and changing content and keywords to keep your search results page rankings high. We'll keep your products, services, images, news & events up to date. No need to spend time and money trying to do it yourself. Our outcomes & ROI are verifiable. Tracking data provide objective statistics showing the exact ROI and effectiveness of our web development & marketing techniques. No guessing. You'll have access to your website analytics and monthly ppc reports. We're available for in-person, no-obligation meetings in Michigan (Detroit, MI, Grand Rapids, MI, Lansing, MI, Flint, MI, Ann Arbor, MI, Port Huron, MI, Kalamazoo, MI, Battle Creek, Saginaw, MI, Bay City), Ohio, Illinois, and Indiana. A custom website design plan for both desktop and mobile for your business can be discussed in detail at that time. Call 1-888-239-0332. 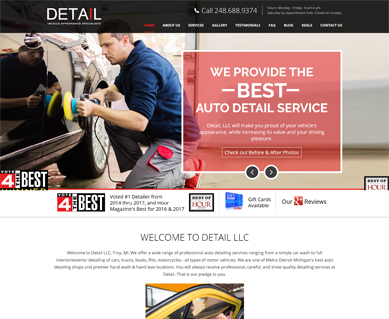 Target Marketing Solutions, web designers serving Michigan, MI, has created a wide array of websites for businesses in many industries and markets since the Internet was in its infancy. Our web design skills and experience are ideally suited for corporate or small business organizations - any business looking for optimal brand presence and visibility on the Internet. Our creative website designs with SEO that following Google's Webmaster Guidelines, are proven sales generators for established companies, and have helped launch small companies, e-commerce companies, and start-ups. Get a big edge on the competition that you expect from a brand new website. Our website designers are experts in fusing custom web design together with an onsite Internet marketing plan to make your website the best it can be. 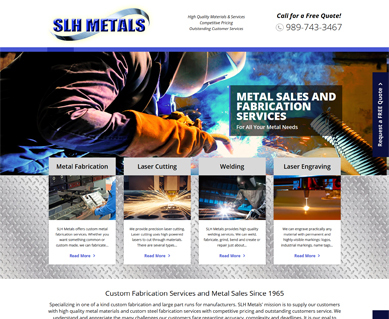 We're not just about web design, but web design + SEO = increased sales for your company. 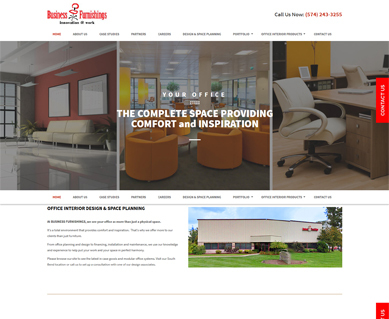 We offer an in-person, no-obligation website design meeting anywhere in Michigan, MI for you to learn more about us and our SEO web designs. We need to get to know you and your unique Internet marketing needs to make your site the best that it can be. All of our website recommendations are always customized to your needs. More information about our web design service can be found below. A "responsive" website to the device used is very important now. Desktop, laptop, smartphone, tablet. Your site has to look great regardless of the device used. Also, have you ever visited a site on your mobile device and noticed that there were areas of the site that were completely missing? No, you're not "seeing things". In all likelihood, those missing areas were coded using Flash. Apple does not allow Flash to run on iOS, the operating system which runs on the iPad, iPhone, iPod Touch, and 2nd-generation Apple TV. We design websites to conform to latest HTML5 standards which allows for viewing all aspects of a website on all devices and mobile platforms. We follow W3C web standards, defining an open web platform application development that enables web developers to build rich interactive websites, powered by vast databases, that are available on any device. Since our inception, Google Webmaster Guidelines have been our road map for SEO of all client website design and development. Google is telling website owners what it wants to "find, crawl, and index" sites and we listen, follow, and SEO all sites to these standards very closely. Does your web designer know these guidelines by heart? This is crucial knowledge for your company's website to appear high in Google search results consistently. The only reason a business invests money in a website is, in all likelihood, to bring in more customers and revenue. Your website should be designed and constructed as a web marketing tool that increases sales. That's why the site needs to be seen consistently in the search results. Website optimization plays a vital role in helping your site appear on searches allowing Google, Bing, and other search engine spiders or bots to understand what the topic of each website page is. Without optimization or SEO, your website is like an unlisted business phone number - no one will find it without knowing the name of your company. Is your company's market local to Michigan, Michigan, regional, national, or international? The answer affects the website design and content chosen to attract the right prospects to your business. A local Michigan or Detroit, MI business only serving local customers would not want to appear on searches in China. Our website designs always target the appropriate market. Planning, explanation, and execution are involved in the website development process. We provide a detailed explanation of our professional website design process, and take you through all of the steps required to build a successful website in both appearance and lead/sales generation. We'll guide you in every step of the process. 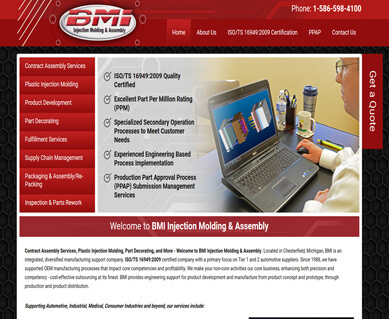 Our website development team guides you through every step of the site development process. 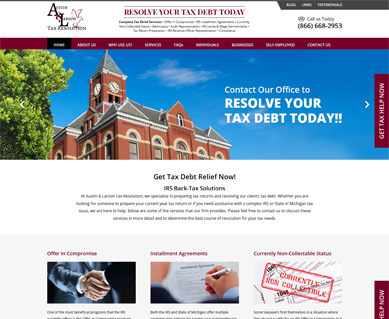 We can design a website for your business to match your budget and company goals. Call us today to find out how we can partner with you to map out the best, most profitable website design strategy for your company. You've probably already realized the importance of knowing and understanding who is coming to your website and what they are doing while they're there. Always included in any of our website design projects is an enterprise-class web analytics solution that gives you rich statistical insights into your website traffic effectiveness. Google Analytics is powerful, flexible, and its easy-to-use features let you analyze your website traffic data in an entirely new way. You'll be able to track your total web footprint from your new website, Flash, video, social networking sites, and other applications. We offer a variety of web analytics solutions that can be customized for your business needs. We'll present your business in the best possible way through the text, images, digital media, and interactive elements on the website. The experienced website designers at Target Marketing Solutions creatively combine these website elements to make your business vision a reality. 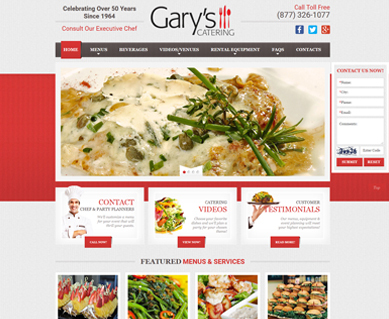 Fresh ideas and inspirations in digital creativity are always in our website designs. We're available for in-person, no-obligation meetings in Michigan, MI. A custom website design plan for both desktop and mobile for your business can be discussed in detail at that time. Call 1-888-239-0332.